Have you always wanted to meet people from other countries, but haven’t had the chance to travel? Here’s your opportunity! 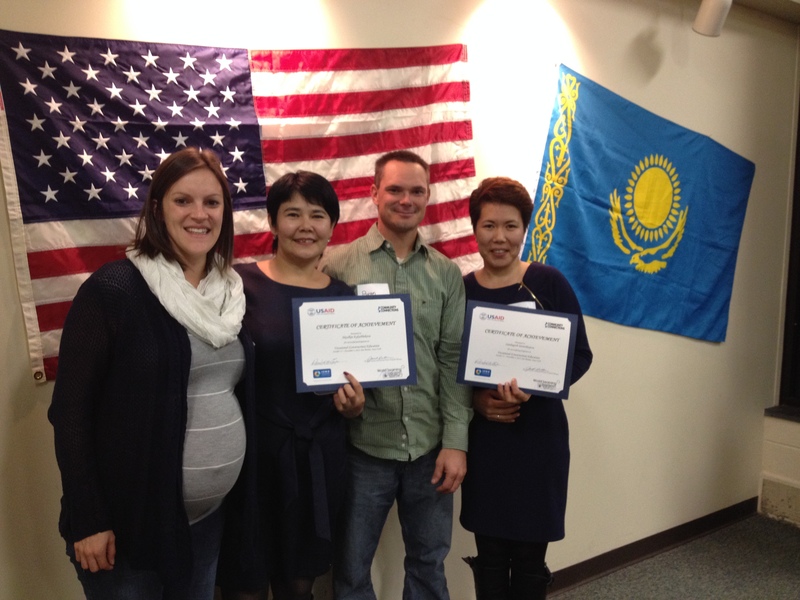 Become a citizen diplomat by volunteering to welcome international visitors to Iowa! Have an extra bedroom? Homestay hosting is an excellent opportunity to spend time with international visitors in your own home as you provide lodging during their Des Moines program. We have homestay hosting opportunities for as little as one night or as long as three weeks. One of our most popular opportunities! Dinner hospitality is a great way to interact on an informal, personal level with international visitors, who often cite dinners with Iowa families as their most enjoyable experience during their stay! Hospitality hosting opportunities are available year-round for groups of 1-6 people. Take networking to a whole new level by sharing your professional knowledge with an international visitor. By welcoming an international visitor into your office, you will have the chance to exchange knowledge with a leader in your field from abroad, establish new contacts, and gain insight into another culture. Professional hosting opportunities are available in most industries, and are available year-round. Show off your local knowledge by serving as a volunteer driver. Volunteer drivers accompany visitors to their meetings and often join them for lunch and/or cultural activities. Volunteer drivers are not reimbursed for their mileage. If a visiting group has an extra free night during their visit, Explore Des Moines volunteers can help visitors see more of Des Moines. These are optional outings for the visitors. Volunteers and visitors meet in the hotel lobby at a designated time, discuss options for the evening, and then pair up based on interests. A meal should be included in the plan, but the visitors are expected to pay for their dinner. Give them a drive around Des Moines and show them everything the city has to offer! Explore Des Moines volunteers must have a flexible attitude and a willingness to provide transportation. Explore Des Moines outings generally last 2 to 3 hours, and these opportunities are available year-round. See the Iowa International Center Calendar for the most up to date information on arriving visitors. Interested in volunteering with our international visitors? Download an Iowa International Center Volunteer Application here. Return completed applications to Janet Norton at jnorton@iowainternationalcenter.org, or contact us at 515-282-8269, ext. 12 with questions.